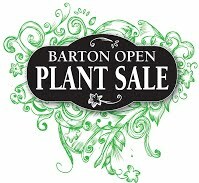 For over 37 years, Barton Open School has raised valuable funds by selling top-quality plants at very competitive prices. This is Barton's biggest fundraiser of the year and most crucial in providing funds for students at Barton. 2019 Plant Sale Pick Up Days are May 10-11! Join this historical event and sign up for plant sale pick up days! Plant Sale Pick Up Days are usually sun-filled and a cheerful community event. Join us for 1 shift or 3! We'd love to see you and you'll enjoy the event. Plant Sale Pick Up Days are a great weekend opportunity for parents who can't volunteer during the school day. Are you interested in getting involved at Barton for a commitment that lasts only 4 days? Love to be outside, moving around, talking to community members, and managing people, plants, and materials? This opportunity is perfect for you!!! Please consider joining the Plant Sale Team this year, and read the short description below. Sell Plants in Ampitheater, Handle Money and Apple Square Transactions. Please arrive 15 minutes early for training.